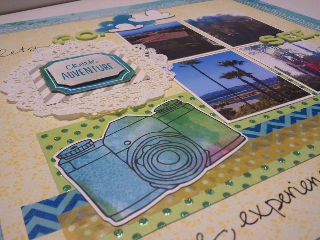 I'm in love how this page was so simple to create. Finding papers with borders already on them make assembly super easy! 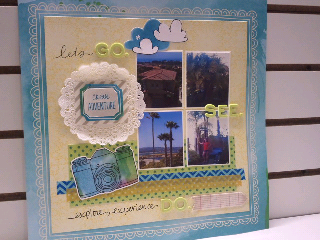 Once again I found a scratch piece of green paper to match and some snap shots of a vacation..... and yes, that's a Doily. 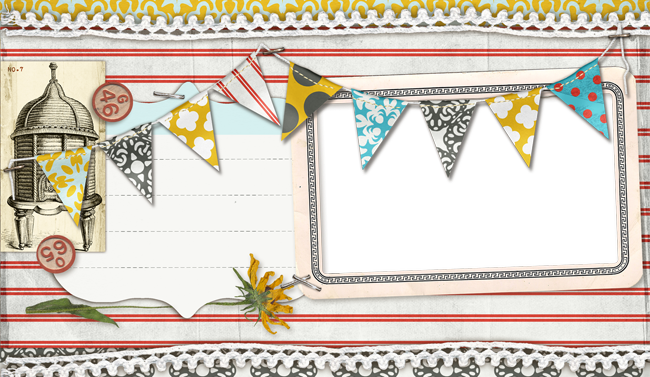 I've discovered that big scrapbooking names (i.e little yellow bicycle) had a small 6 pack of doilys for almost $6! Purr madness.... I went to the bakery section at my local craft store and found a pack of 20 for $3! And wouldn't you know-I used my favorite washing tape!